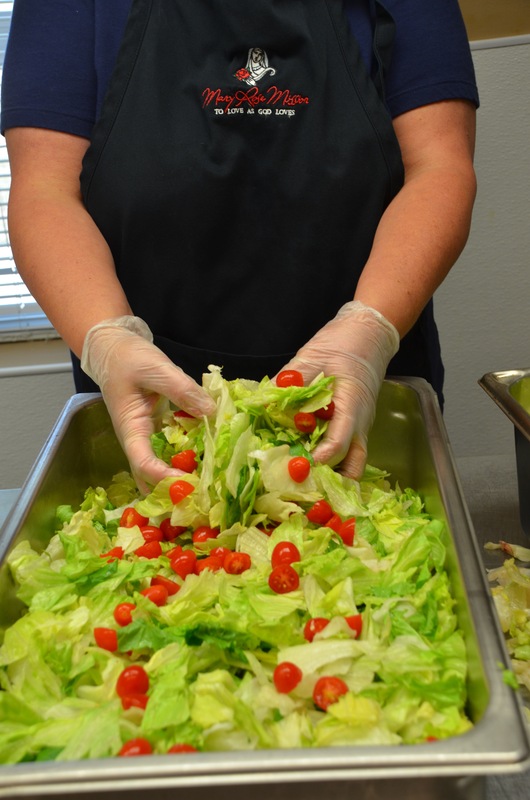 Volunteer for our Prep or Serve Shift! We are always in need to Dining Room Managers and Certified Food Service Managers. If you would like more information about either of these regular positions, please email volunteer@maryrosemission.org and let us know! When you shop at Kroger’s and use your Krogers Plus card, a portion of your purchase will be donated to Mary Rose Mission. Once you are enrolled, that’s it! They send us quarterly checks. 100% of our funding comes from the generosity of our community. Private and corporate donations provide the monies we need to feed our guests each evening. As special projects come along, we apply for grants to assist with our needs. We do not receive ANY government funding. Click HERE to learn about other types of financial donations, or to make a donation online. Host a Food Drive! Click here to learn about our current needs and how to schedule your drop-off. You MUST be able to commit to the full time commitment. You MUST be 13 (with a parent) or older to volunteer. All of our scheduling is done through an online calendar called SignUp!. If you would like to volunteer, please click HERE to see our current calendar or send an email to volunteer@maryrosemission.org and we will send you a link to that calendar. WE ARE UNABLE TO SCHEDULE VOLUNTEERS VIA EMAIL. PLEASE USE THE ONLINE CALENDAR TO SEE WHICH DATES ARE AVAILABLE!